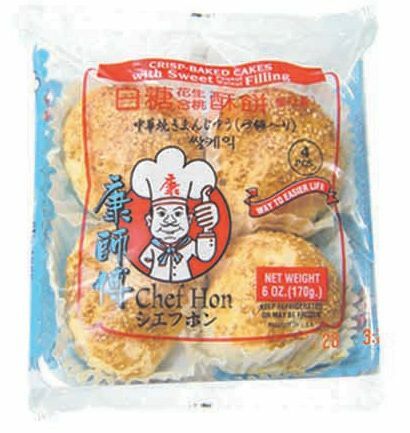 Wheat Flour, Water, Vegetable Shortening (Palm Oil & Soy Bean Oil), Whole Egg, Soy Bean Oil, Salt, Sesame Seeds. Sugar, Peanuts, Walnut, Wheat Flour, Sherry Wine. Contains Wheat, Peanut, Walnut & Egg Ingredients.